Dr. Dayrit graduated with a bachelor’s degree from the Ateneo de Manila University in Quezon City, Philippines and earned his medical degree from the University of the Philippines, Manila. After finishing a rotating internship at U.P. Philippine General Hospital in Manila, he completed an internal medicine internship and residency at Beth Israel Medical Center, New York. He then followed this training with a critical care and pulmonary fellowship there. 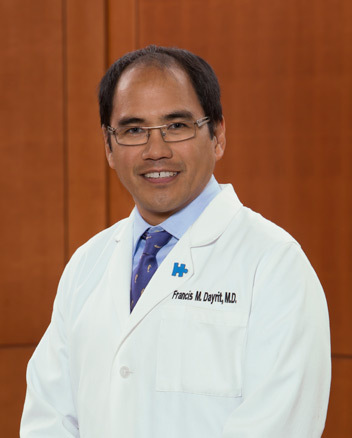 A fellow of the American College of Chest Physicians, Dr. Dayrit is the director for the Pulmonary Rehabilitation Program at Lexington Medical Center.